Queenslander Scott Howard has turned back the clock in this weekend’s fifth round of DD2 Masters at the Rotax Pro Tour, taking three comprehensive victories today in heat racing at Albury-Wodonga. Remarkably, Howard and his team pushed out a brand new chassis for today after his primary chassis was cracked in practice. The team finished building the kart at 10:30pm last night. Having never driven that brand previously, he used the wet conditions to his advantage to win all three heat races. He had a titanic battle with fellow Masters front-runner, Kris Walton in the final race of the day, while Series leader – World Champion Troy Woolston unusually battled for form. James Wharton has taken his Shamick Racing FA Kart to the top position in all three of the Junior Max races today. 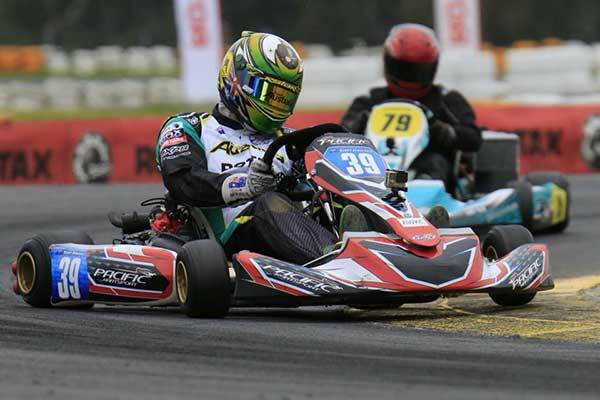 Wharton was supreme in his performance showing the experience of racing in the European Rotax Challenge. William Seal has been impressive being among the top group throughout the day, so too Jaiden Pope and pole-sitter Hugh Barter – who unfortunately had a heat two that saw him drop through the field after an off-track excursion. Ryan Wood won the first heat, however received a post-race penalty that dropped him down the order. Cody Maynes-Rutty has kept his slender chance of making Team Australia alive after a day of winning all three races in Mini Max. The New South Welshman was strong throughout the course of the day, aided by Series leader Costa Toparis recording a non-finish in one of his races. While Toparis had the DNF he has been among the top group, so too Macka Hazard. The category was marred by an accident involving Sebastian Ruiz and Jesse Lacey in heat two. Lacey was hospitalised after the incident and will remain in hospital overnight for observation, however has escaped with minor injuries. Three drivers were winners in Rotax Light with Troy Alger, Cameron Longmore and Ben Jurczak winning the races today. Alger survived the wet weather best in the opening race, while Longmore has been at the pointy end of the field right throughout the day, featuring in the minor placings as well. Brodie Whitmore crossed the line first in the third heat however had a post-race startline infringement handed down to him. Series leader, Reece Cohen had a mixed day including a front running finish in heat one, a blackflag in heat two and dropped to the mid pack in heat three. In DD2, three different winners took the chequered flag with Nathan Tigani, Jac Preston and Ryan Kennedy all winning races throughout the day. Dunlop Super2 Supercars Series regular, Jordan Boys made a strong claim for victory on home soil tomorrow with two second placings and a fifth, while Damian Ward and Nikolaj Thomas were around the top group and Madeline Stewart and Taylah Agius were staging their own inter-race female fight. 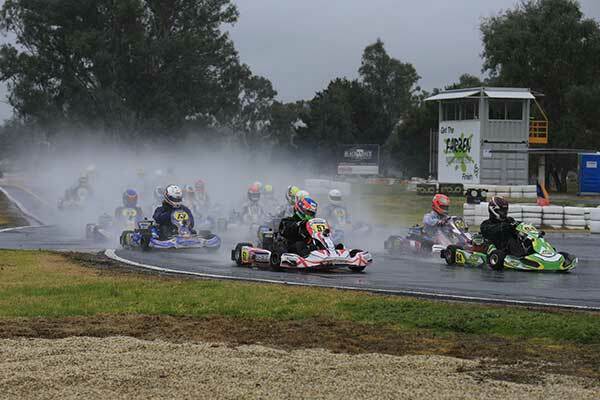 Rotax Heavy has been once again entertaining with Zac van Leeuwestyn, the returning Trent Harrison and Paul Rodgers sharing the honours. 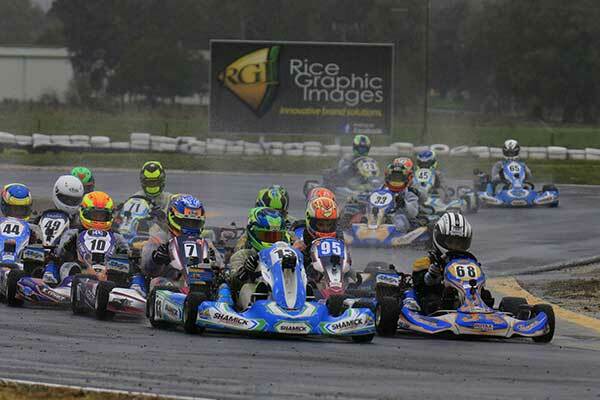 All three were at the front regularly, while Series leader, Lane Moore had his day compromised by a qualifying crash. The damage was sufficient that it ruled him out of the first heat and since that time, he has been working to advance himself up the order – often engaged in entertaining battles with Zac and Sam van Leeuwestyn. Micro Max had three winners as well – with Max Walton taking a welcome victory in the opening heart of the day, Peter Bouzinelos and Jake Rutkowski sharing the spoils. With the Series looking like it will come down to the wire between Rutkowski, Bouzinelos and Jaxson Burns, crucially Bouzinelos recorded a non-finish in the third heat as Rutkowski took the win over James Anagnostiadis – his best finish in the Pro Tour. Tomorrow, action starts at 8am with predicted fine weather. Entry to the Albury-Wodonga Kart Club on Sheathers Road, Wodonga is free to the public, alternatively every race will be streamed live at www.facebook.com/RotaxProTour.